Lot 190 Alloy Polish Railway Curved Steam Locomotive Worksplate. "H.CEGIELSKI. 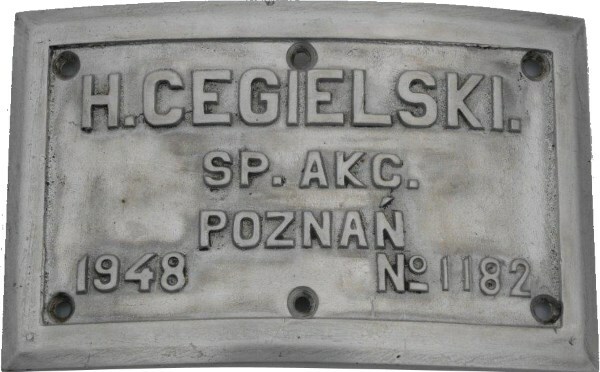 - SP.AKC.POZNAN - No 1182 - 1948. Front cleaned.